, Hooria Mashhour, who is disarmingly forthcoming about the problem facing girls in her country. In a country that has recently ousted its president after 33 years in power, surprisingly little has changed for girls who are forced to get married before they reach adulthood. According to a 2008 study by the Gender Development Research and Studies Centre in Sana’a, just over half of girls are married before their eighteenth birthday – some as young as eight. Admittedly, the problem is not unique to Yemen: in May 2012, the Grand Mufti of the neighbouring Saudi Arabia suggested that girls can be married aged 10. 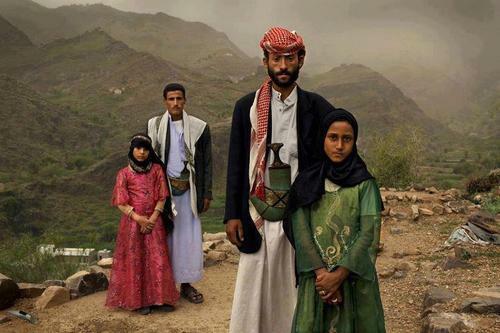 However, in a recent report, former UK Prime Minister Gordon Brown notes that Yemen has the second highest number of mothers under the age of 15, out of the 16 countries where child marriage and pregnancy is most prevalent. Unlike other developing countries who have raised the minimum age for marriage,Yemen has, in 1999, scrapped it altogether. Attempts by MPs to re-instate it in 2009, as well as protests on the streets and campaigns by the Yemeni Nobel Peace Prize winner Tawakkul Karman, have not succeeded. Meanwhile, the fragile political situation and the fight against Al Qaeda in the Arabian Peninsula (AQAP) has overshadowed human rights issues. “The war on terrorism has affected child rights by preventing them from being top priorities of the national agenda, and generally has put security ahead of development and human rights issues”, says Mashhour. Aisha, a 25 year old Yemeni now living in the UK, tells the story of her mother, Bushra, who was forced to marry aged 13. Bushra’s husband forbade her to attend secondary school or seek work. Aged 20, she already had four children, while her husband had married an additional wife. Some would argue that legislation is the answer. In Ethiopia, for example, the legal minimum age for marriage was raised to 18 in 2005. However, Jeffrey Edmeades of the International Center for Research on Women (ICRW) says this has had “very little effect on marriage rates”. Experience from other countries offers alternatives. Initiatives at the grassroots level used to tackle similar problems in Africa “can be adopted by Yemen” says Naana Otoo-Oyortey, the Executive Director of Forward, an African Diaspora women’s charity. Forward has set up income-generating schemes for existing child mothers, as well as girls’ clubs in schools, dispensing information and advice. In India, a programme called Apni Beti Apna Dhan (‘Our Daughters, Our Wealth’) works on the basis of cash incentives: a girl and her family can withdraw a sum of money if the girl turns 18 unwed. This initiative, reports The Daily Beast, saw an 18 percent drop in the practice between 1992 and 2006. Similar ideas are being developed in the Yemeni diaspora. Lubna Maktari of the UK based Independent Yemen Group describes an initiative to educate and empower those outside of the main cities. “Over 70% of the Yemeni population lives in the rural areas, with limited or no electricity” The group wants to broadcast educational programmes on wind-up radios, providing basic skills, as well as support and information. Posted on September 1, 2012, in Middle East and tagged Feminism, Women's Rights, Yemen. Bookmark the permalink. Leave a comment.